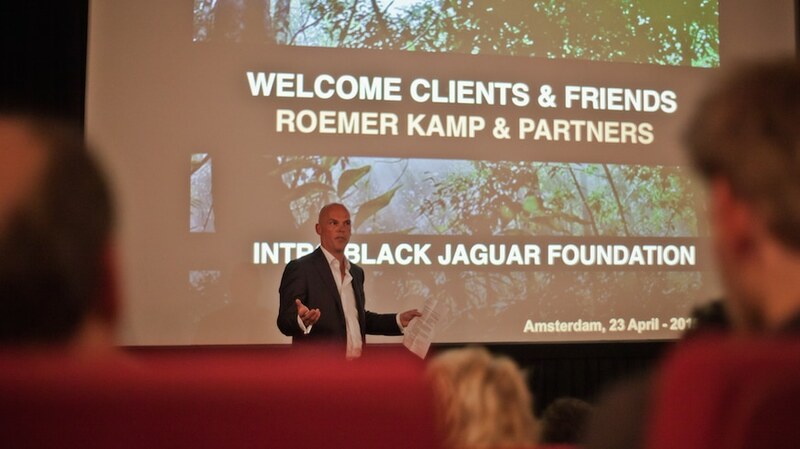 Last April 2015, our sponsor-partner Roemer Kamp & Partners, a leading asset-management company based in the Netherlands, organized a special dinner-info-evening for their clients, seeking to share their partnership experience with the BJF and communicate their involvement with preserving our planet. It was a great success! After a 1-hour presentation about the importance of the Araguaia Biodiversity Corridor and BJF’s tasks to help realize it, the guests enjoyed a delightful dinner. A special thanks to Prof. Jan van Hooff for the introduction speech and for Jord, Jean-Michel and Marco for making this inspiring evening come true.